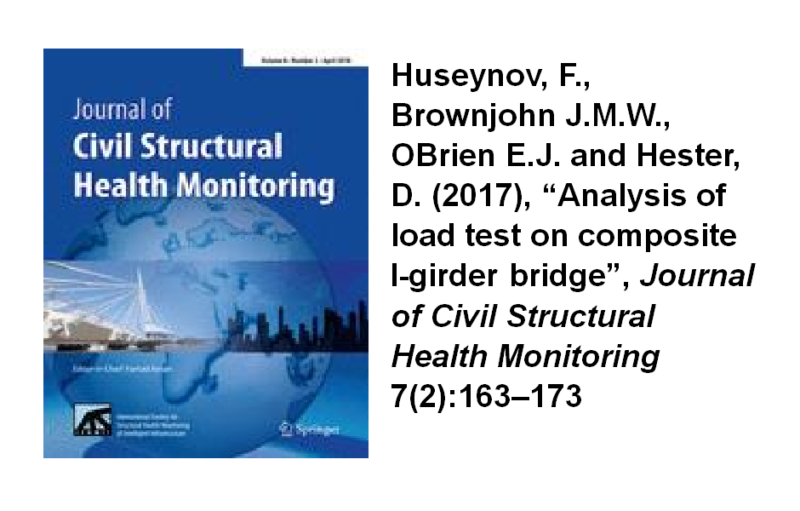 "Analysis of load test on composite I-girder bridge"
On 26th April 2017, the paper titled “Analysis of load test on composite I-girder bridge” by Farhad Huseynov (ESR7), his supervisors James Brownjohn and Eugene OBrien, and David Hester, came available in the website of Journal of Civil Structural Health Monitoring. This paper is open access and available for download at the DOI link provided with the full reference below. This paper showcases the importance of field testing in efforts to deal with the deteriorating infrastructure. It shows that when tested, bridges do not necessarily behave as expected under load, particularly with respect to boundary conditions. 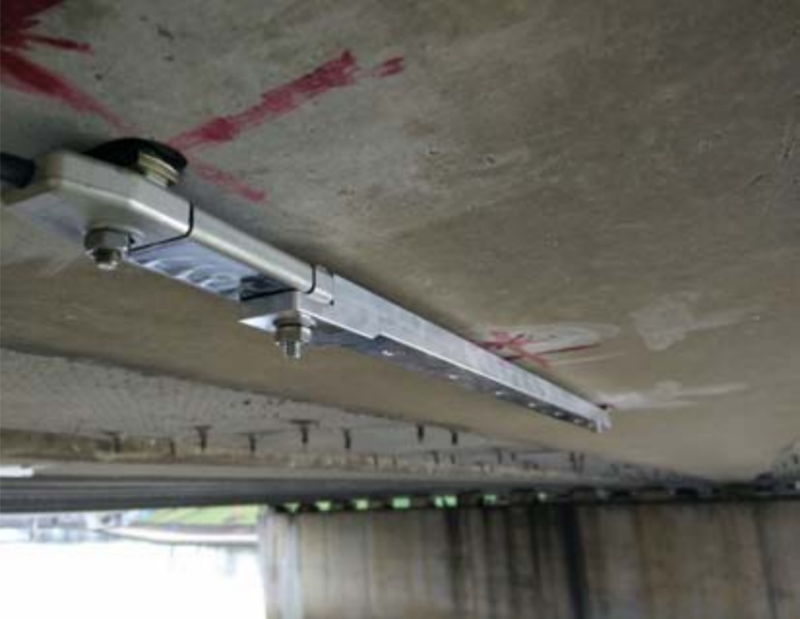 This is demonstrated via a load test performed on a healthy but ageing composite reinforced concrete bridge in Exeter, UK. The bridge girders were instrumented with strain transducers and static strains were recorded while a four-axle, 32 tonne lorry remained stationary in a single lane. Subsequently, a 3-D finite element model of the bridge was developed and calibrated based on the field test data. The bridge deck was originally designed as simply supported, however, it is shown (from the field test and calibrated model) that the support conditions were no longer behaving as pin-roller which affects the load distribution characteristics of the superstructure. Transverse load distribution factors (DFs) of the bridge deck structure were studied for different boundary conditions. The DFs obtained from analysis were compared with DFs provided in Design Manual for Roads and Bridges (DMRB) Standard Specification. Having observed in the load test that the ends of the deck appeared to be experiencing some rotational restraint, a parametric study was carried out to calculate mid-span bending moment (under DMRB assessment loading) for varying levels of restraint at the end of the deck. Keywords: Bridge field testing; strain measurements; load distribution factors; FE modelling; bridge assessment. Huseynov, F., Brownjohn, J., O’Brien, E., and Hester, D. (2017). 'Analysis of load test on composite I-girder bridge', Journal of Civil Structural Health Monitoring, 7(2):163–173.